A study in the online edition of Annals of Internal Medicine suggests that coronary artery calcification (CAC) scans could help physicians identify patients at risk for premature death. According to the National Institutes of Health, a CAC is an x-ray test that looks for specks of calcium in the walls of the coronary arteries. These specks of calcium are called calcifications and are an early sign of coronary artery disease. 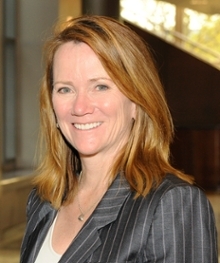 Researchers from Emory University School of Medicine, led by Leslee Shaw, PhD, professor of cardiology, collected and assessed CAC scores and risk factor data taken from 9,715 study participants between the years 1996 and 1999. The patients, who were scanned as part a community-outreach screening program at an outpatient clinic in Nashville, showed no symptoms of coronary artery disease at the time of the scans. Approximately 86 percent of the participants were white, eight percent were African American, four percent were Hispanic, and two percent were Asian. Researchers found that the score accurately predicted all-cause mortality up to 15 years in the asymptomatic patients. The authors suggest that CAC scanning could help identify patients at risk for early death. “These findings give us a better understanding of the importance of coronary calcium scans to predict mortality,” says Shaw. Shaw says CAC scores have been used to estimate cardiovascular prognosis and all-cause mortality in the short term, but this study’s long-term analysis is unique.